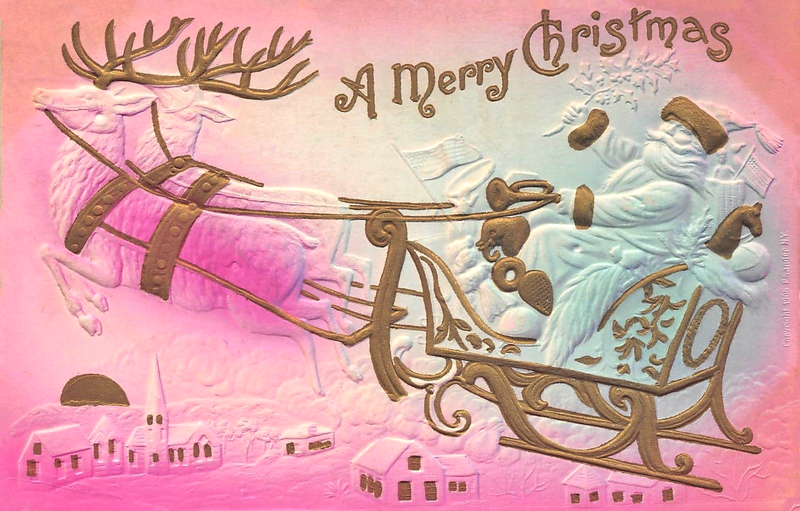 There’s so many wonderful copyright free vintage Christmas graphics to choose from and to share with you. At the moment, I actually have more images that I can write posts for. Hopefully, between now and Christmas this category is just going to continue to get larger and larger. Additionally, you can also check out my other free image sites for even more Free Christmas Images on ReusableArt.com and beautiful Christmas paintings by some of the world’s finest artists in our collection of Nativity Images on TheFamousArtists.com. 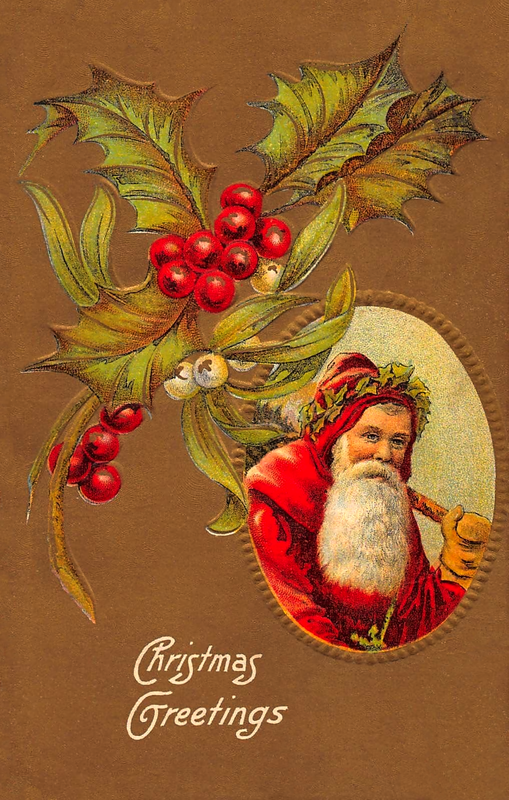 Much of the iconography surrounding Christmas relates to the many traditions we observe…Santa Claus coming down the chimney; decorating our homes with holly, ivy, poinsettias and mistletoe; snow-covered landscapes and decorated Christmas trees. 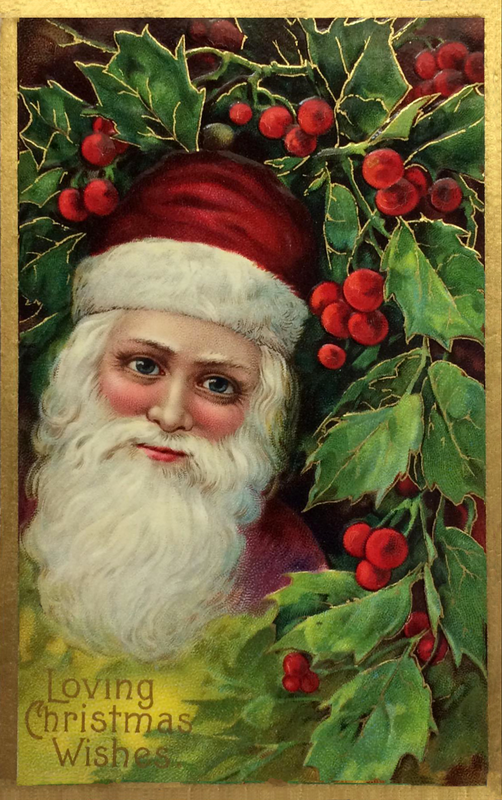 I hope to cover all aspects of the Christmas holiday with the many vintage Christmas postcard, greeting cards, paintings, drawings and other two-dimensional works that will be showcased here. 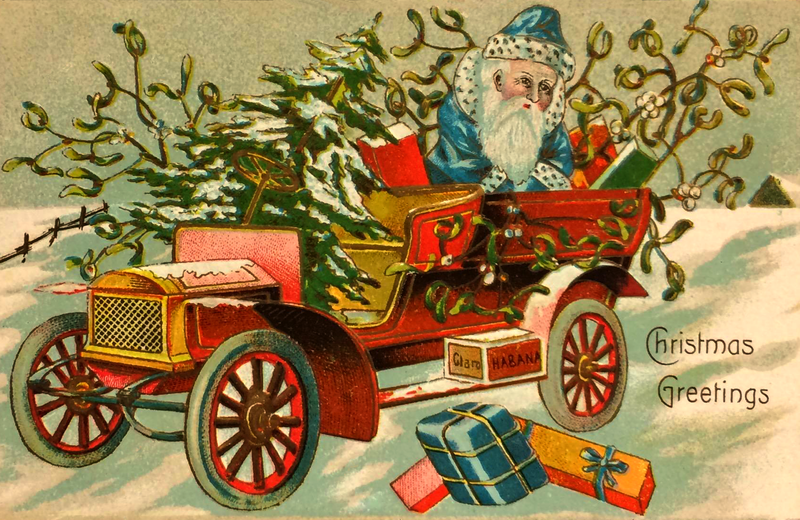 In the early 1900s, folks didn’t typically send greeting cards in envelopes. 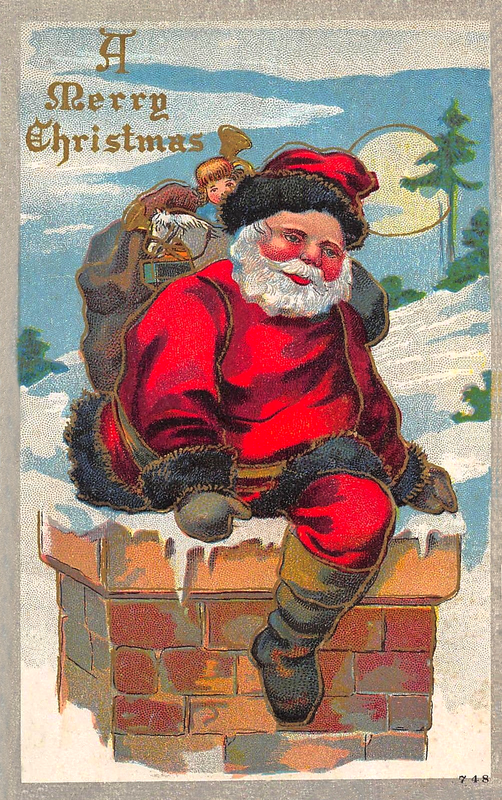 That’s why so many of the public domain holiday images are from vintage Christmas postcards. 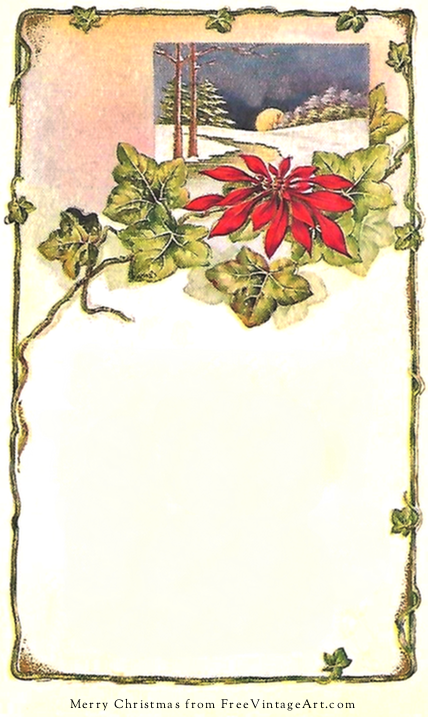 My grandmother always called postcards “penny cards” referring to the 1 cent stamp they used to send their holiday greetings to friends and family. When it comes to snow-covered landscape drawings I thought they should be singled out for special attention. I’ve posted a number of them separately from the Christmas holiday images because I think wintry landscapes are so beautiful in their own right and may not always contain Christmas imagery. 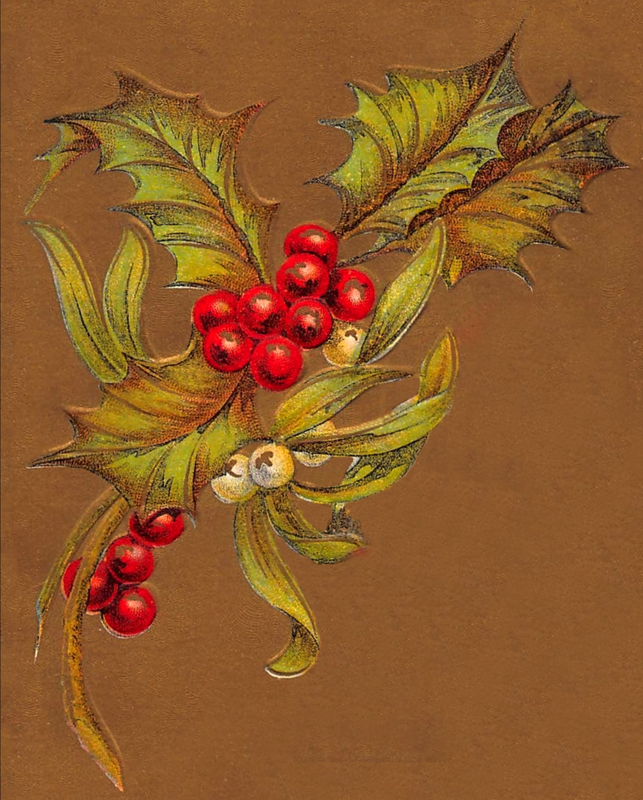 Like everything on Free Vintage Art, all of our Holiday and Christmas images are in the public domain in the United States. I would love to hear from you to know if you have any favorites or if there is something that you are looking for that you just can’t find. I’ll do my best to find something for you. 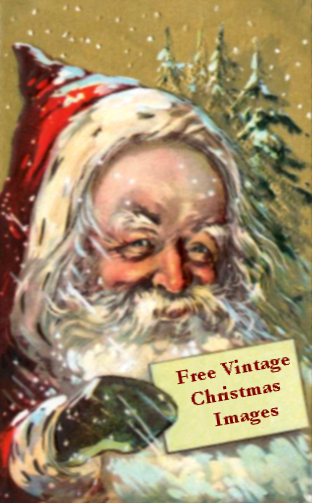 I would also love to hear from anyone who has incorporated my free vintage Christmas images from one or more of my sites into their own creative projects. Most importantly, I wish you and your family a safe and joy-filled Merry Christmas! 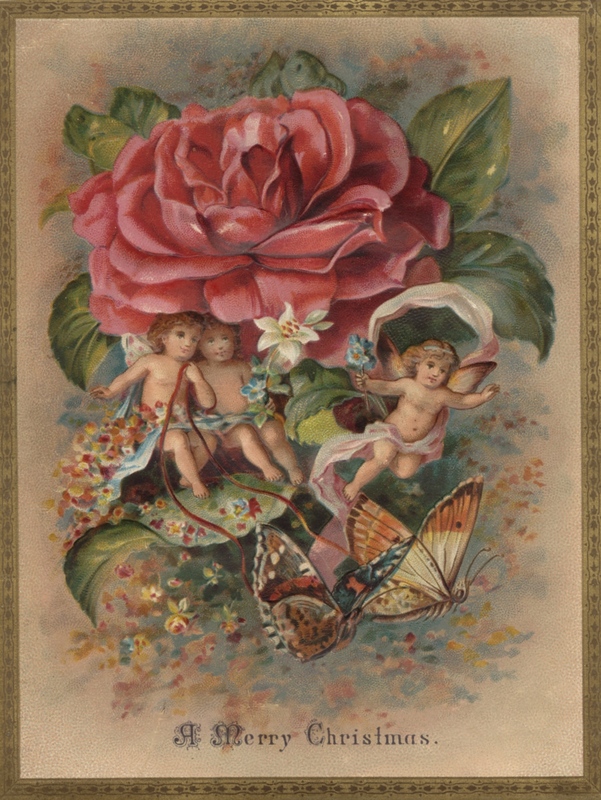 Vintage greeting card image from 1910. 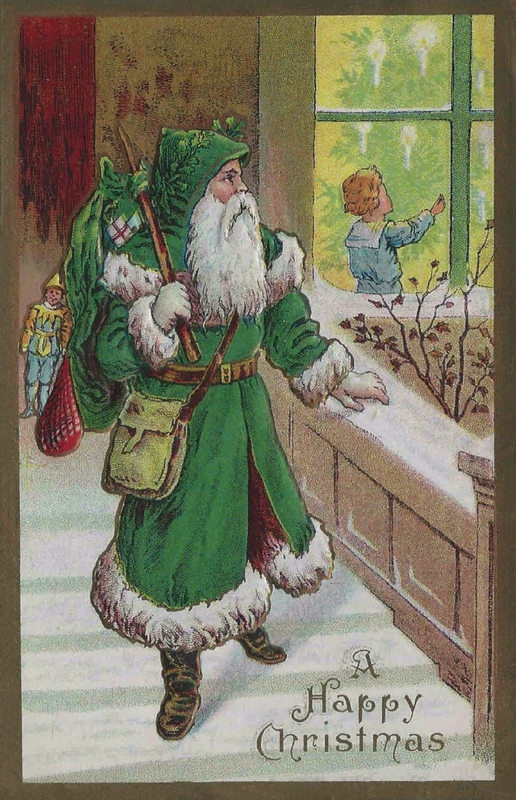 Victorian-style green Santa watches a little boy through a window decorating a candle-lit Christmas tree. 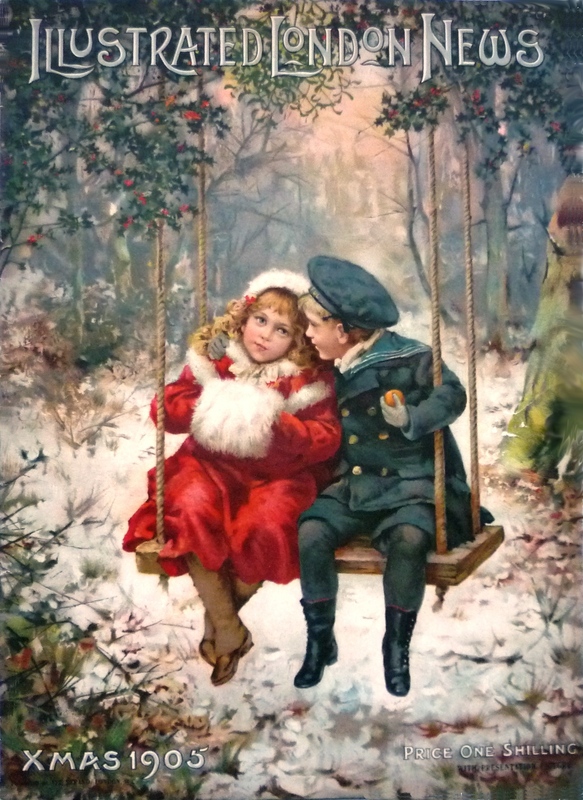 A charming and romantic Christmas magazine cover illustration from 1905. Two youngsters, in the woods, on a swing. Love the red coat and white muff. 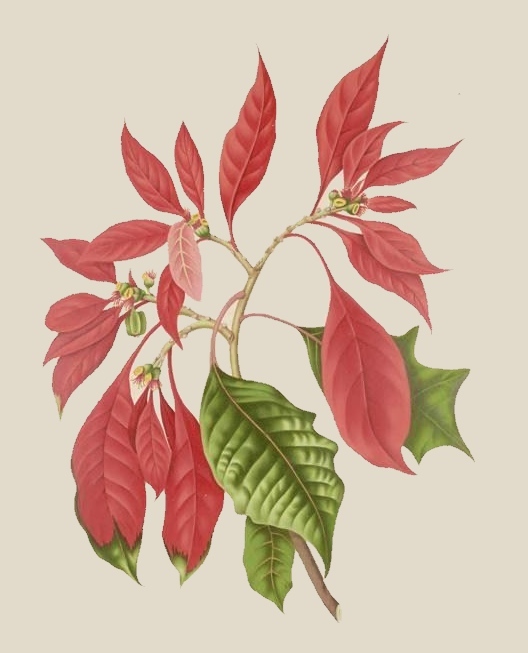 Dainty holly sprig drawing from 1922 for your enjoyment at Christmas. Use for cards, gift tags or where ever your creative muse takes you. I did a search on Amazon for vintage christmas to get you started. Maybe you'll find that little something that will transform your current creative project into something spectacular.